Well known as the most developed and sorted commercial region Okhla Phase 1, 2 & 3 has become the center of commercial and industrial business. This region is one of the 28 notified industrial areas of Delhi, as per the Master Plan of 2001. 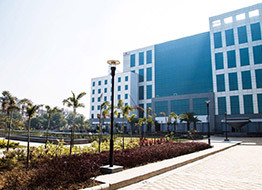 Having an office space in Okhla means a rise in production and pleasure of working in a reputed locality. Surrounding of this region add more importance and well maintained road helps people to travel easily from their home to office. Apart from commercial development one will find other important infrastructures like leisure and medical facilities which boost the look extremely. People who live far away from here can reach this location by the nearby operational metro station which also saves your precious time and money. Okhla industrial area is allotted by DDA and Directorate of Industries in 3 phases. This region is known for Industrial establishments on the other many private builders are already launched many commercial & retail developments at here. Proximity from South Delhi, easy access from Mathura Road, Noida and IGI Airport catches the attention of real estate investors. Due to the availability of small, medium and large size industrial and commercial developments and excellent connectivity it attracts every class of entrepreneurs.